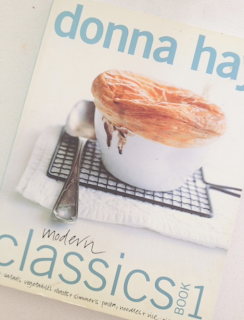 You already know my love for Donna Hay cookbooks! 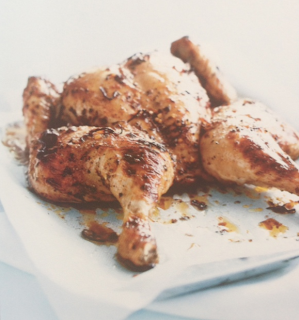 The one I have chosen to cook from today is called "A cook's guide". 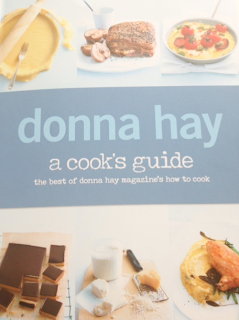 It is a collection of the how-to-cook recipes from Donna Hay's signature magazine! The cookbook is packed with easy to make, pleasant to look at recipes that Donna is famous for. 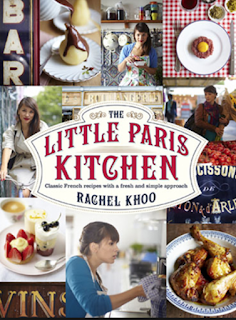 I feel that's a great book to have around as it guides you on how to cook just about anything! I have cooked tonight the "butterfly chicken". The ingredients are readily available in most pantries and fridges, also important there is minimal preparation and subsequent mess (I am still not walking properly so I need things to be easy in the packing up department!). 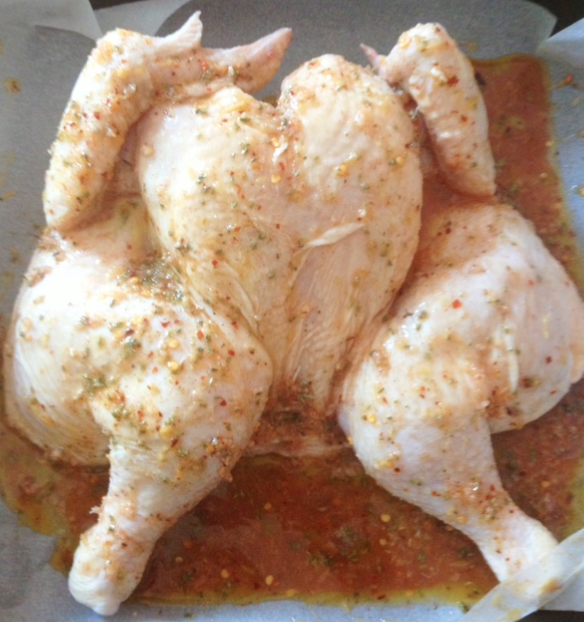 Pre-heat oven to 200 celsius! Butterfly the chicken, by using a sharp knife or chicken scissors, cutting as closely along either side of the backbone and remove it. 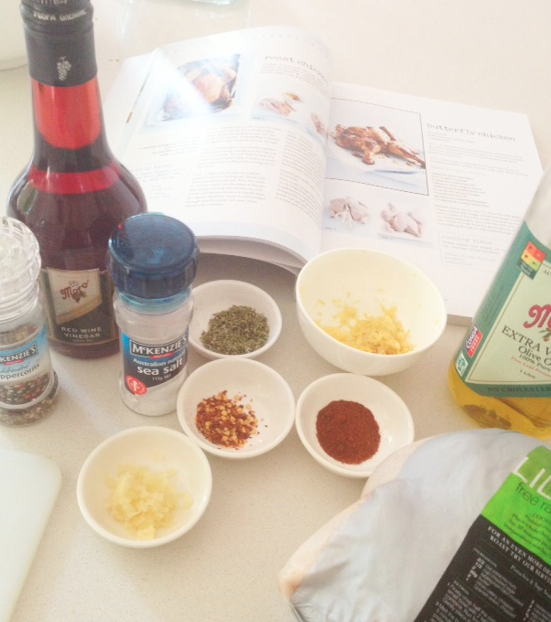 Place garlic, chillies, paprika, oregano lemon zest vinegar, olive oil in a bowl and mix it well until combined. Place chicken in a baking tray lined with non-stick baking paper, pour over the chilli mixture and spread over the chicken to coat. 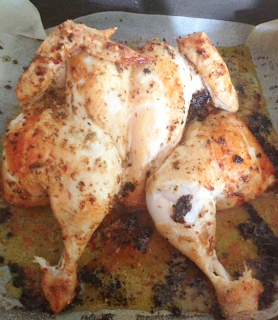 Roast for 45 minutes , brushing with the pan juices halfway through or until cooked through and golden brown. Serves 4. I have decided to make a Rocket, Pear, Parmesan salad with it! 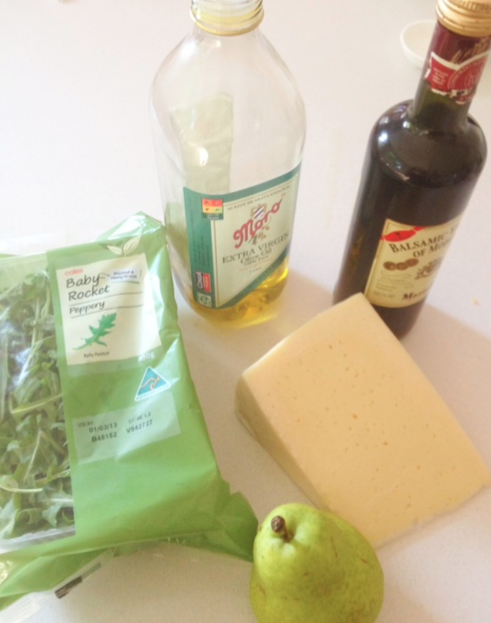 All the ingredients for the salad! That's it! 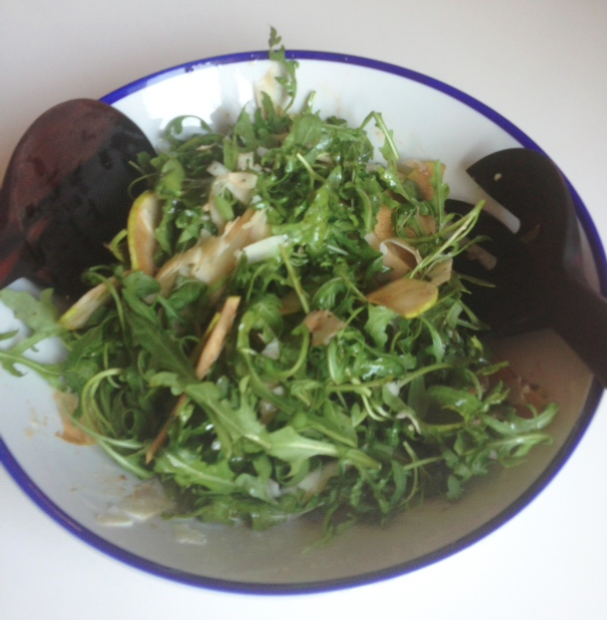 It's a salad I always make because a. I love the peppery taste of rocket b. the ingredients are always ready available for me c. it complements most dishes! Mix and serve! That easy! All I can say is YUM!!!!! Highly recommend you try it!